Sunshine blog hop is here! As always - in case you get lost - you find the blog hop order here - on the store blog. I got the honor to display "All grown up". She's such a cutie and was a joy to colour. I will not keep you long - since I know that you want to see what the rest of the DT-girls have been up too - but also to get your hands on these cuties. So next step on the hop is Marti! But before you leave - I would love to hear what you think about "All grown up". I decided to colour Atlantia with my copics. Cut her out with my nesties. Then I picked the DPs - that I received as a free gift from my cardmaking magazine. Coloured Atlantia in matching colours. Highlighted her wings with my Viva Decor Pen. Added the butterflies and cut out some paperflowers as decorations. Pearls are made with my Viva Decor Pen + three Bella Baubles in the flower centers. Couldn't resist - had to use a little lemon raffia lace. Sentiment from SU. Are you walking on Sunshine yet? 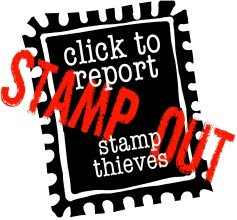 If not - please make sure that you pop over to the SCACD store blog today! 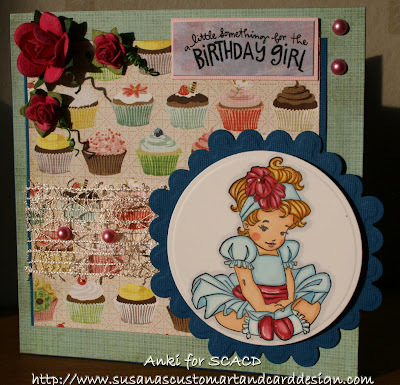 Susana is celebrating the "Walking On Sunshine Release by Elisabeth BellFor SCACD Stamp Co". The release is taking place April 30th! So here's a little preview for you. Click on it and it will take you directly to Susana's generous candy! So this is a short post from me - where I wanted to show you my result of colouring Little Carolyn with my copics - but trying to get the "Distress look" for her. 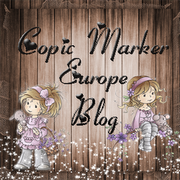 My sweet DT sister Suzanne have a super copic video tutorial that you find here. Here you have the end result - after adding roses, pearls and ribbon. Hope you like it. Well - I am actually pleased with the result - but I really feel that I am in the need for more copics ;-). Guess a girl never can have enough of colour choices - right?? Coloured Little Carolyn with my copics. 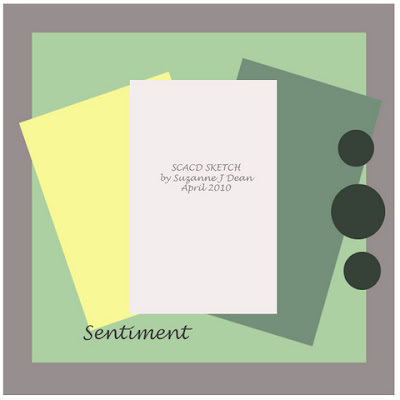 Then the new Basic Grey DPs - Green at heart was just perfect to create a little scene for Carolyn. Cut out flowers with my flower punches and created the pearls with my Viva Decor pen. Hope you all have seen the great videos that Suzanne and Marti have made - using these products. You find them on the SCACD store blog - under the section for Product Tutorial Videos! Hope you like it and it's always nice to hear from you ladies! I hope to be able to visit your blogs soon. Hope you like it and that you would like to join us over at RoP/BnW for this weeks challenge. It's my youngest sister Cathrine's b'day today - so I have to say Happy B'day of course! This time I wanted to challenge myself and colour little Belle in new colours that I don't use that often. So it was perfect that I had the latest DPs from Basic Grey Kioshi to start with. Hope you like it! So my question to you this time is - what colour combo is outside your safety zone? I love the fact that it's getting warmer outside and that we have more and more sunshine. But am I ready for Summer? Hm.......not yet - but I'm trying to. It's hard to show off your white legs at first - but how will you get some suntan if you don't dare...??? Isn't she supercute? I have loved this image from start - when I first spotted her in Elisabeth's sketch gallery. So great that Summer turned her into a stamp - don't you all agree?? You can get little Tube Wear here. I've coloured her with my copics. DPs from Basic Grey. Pearls are made with my Viva Decor Pens. Flowers and leaf are from RoP. I felt so energized after a whole day outdoors - so I put this card together one hour ago - using this wonderful sketch from Beatrix over Friday Sketchers! So after a day outdoors - I felt the need to colour sweet Belle with laundry. Coloured her with my copics and got to use my new Basic Grey Green At Heart DP. The pearls were created with my Viva Decor pens. Loving them! Ribbon from SU and the flowers were sent to me from my very sweet and talented friend Marlene! 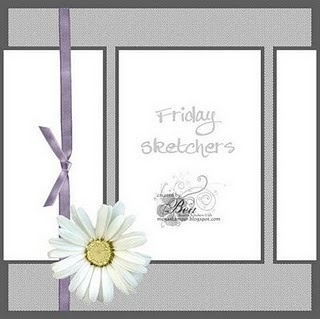 So here you have it - my entry for this weeks Friday Sketchers! So happy that I got the time to join. Thank you for the sketch Beatrix - it's wonderful! Hope you like it. Looking fwd to hear from you! Just a quick post from me today, since we are celebrating my youngest sister Cathrine today. Her b´day is actually April 16th, but since she study to become a Vet in Denmark - we can´t celebrate her on that date. Coloured her with my copics and went for a clean layout. Love my Ladybug DPs - so I wanted them to show as well. Added matching mini roses and of course - some pearls for a little princess. Hope you like it and looking fwd to hear from you. I am off to spend some wonderful time with my sweet sisters and families. Kramis and hope you would like to play with us. Looking fwd to hear from you as always! 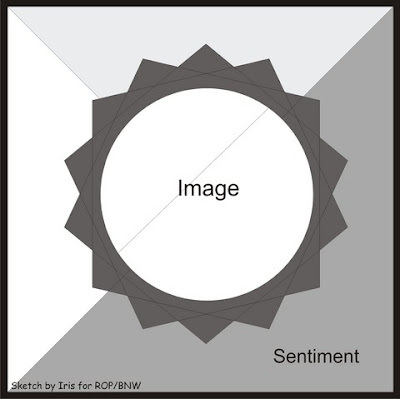 Talking about fun - Jodi is hosting our RoP/BnW challenge this time. She wants us to create a b'day card and/or using several layers. I could not resist to create this mini b'day card using one of the latest BnW stamps "Watering". Inked her up with Memento Rich Cocoa - loving the softness brown gives to the stamped image. Coloured her with my copics and added a few layers of cardstock behind her. Wanted her to be in the center and then surrounded with some miniroses and pearls. The pearls are made by me using the Viva Decor pearl pen. Sentiment is a rub-on - again from my supersweet friend Tammi. Hope you like it and that you would like to participate. Stunning E Bell Digi is here! Hope you are enjoying your holiday with family and friends! We have celebrated Easter with my parents yesterday together with some other relatives. It's a lot of fun and a lot of food *lol*. Talking about fun - this cute little cowboy is the latest Digi from Elisabeth! I could not resist to turn my photo of him into black/white. Making him look like he's the star in one of those old classic movies... :-) This is what he looks like in colour: I coloured him with my copics and since it's a card for a little man - well - not that many accessories as you can see. I went for a clean layout - since I really wanted him to be in the center! Sentiment is a rub-on from my sweet friend Tammi. Well - what are you waiting for?? Pop over to Elisabeth's site and get him. Promise you that he's a joy to colour and I can already see him on many, many, many of my cards or maybe for Isac's invitation cards when he turns 4 in July. 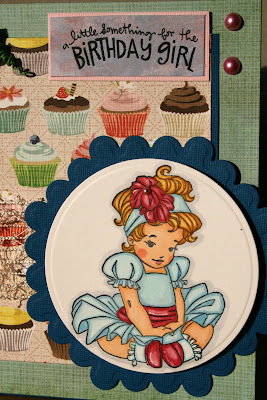 Make sure that you visit my DT-sisters blogs as well - to see what they have created with Elisabeth's latest Digi's. Well - over to my card for today. I've had the card waiting for sometime to go on public display...hihi.... But now she can't wait. Isn't she just supercute! Love "Oh baby" so much. 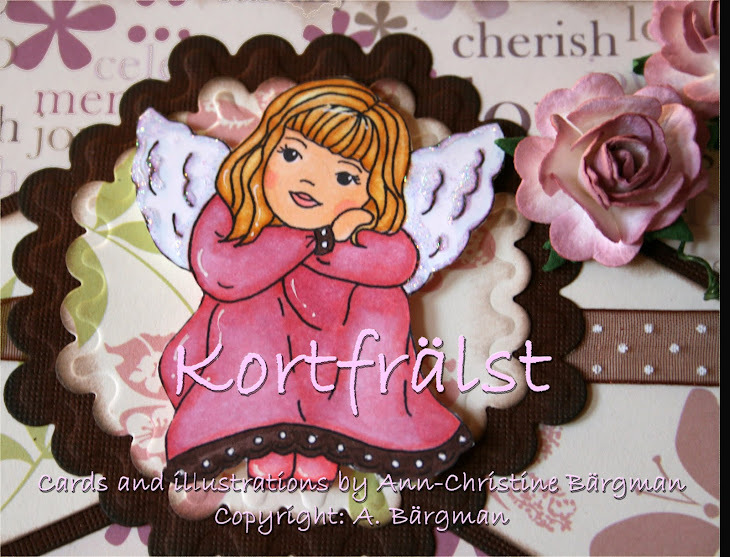 She's perfect for any little b'day girl or newborn. Coloured her with my copics and cut her out with my nesties . DPs from Basic Grey - matching perfectly - since she's sweet as a cupcake...*lol*. The ribbon was sent to me from my supersweet friend Tammi as well as the sentiment rub-on. Added a few pearls and roses. So hope you like her as much as I do. Looking fwd to hear from you and hoping that you all will have a wonderful Easter break!